Henry Winkler for the win? Henry Winkler is the guy who played the guy who jumped the shark on “Happy Days,” triggering a name for what happens when TV shows turn bad. You know that, because the Fonz is forever and, alas, too many shows still jump the shark. 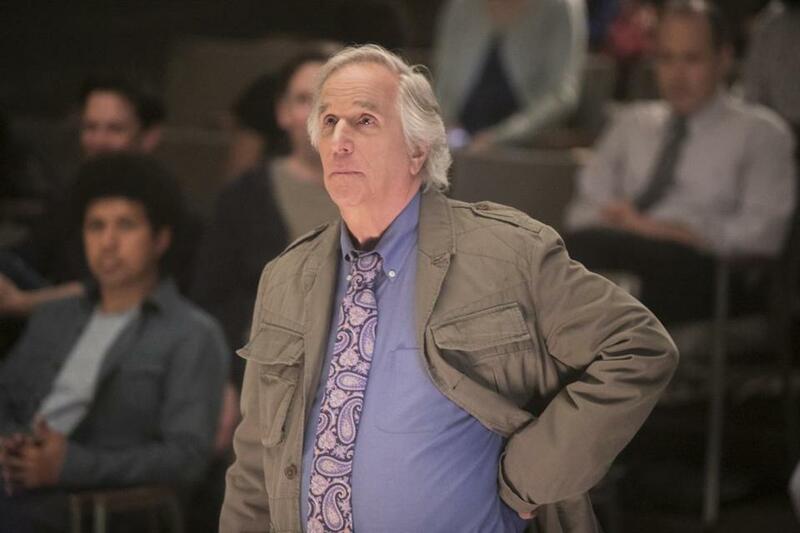 But Winkler’s career definitely hasn’t jumped, and, like a few other actors from TV’s past, including Ted Danson and Ed O’Neill, Winkler, 72, is currently doing some of his best work. I’m referring to Winkler’s supporting role on “Barry,” the HBO comedy starring Bill Hader as the titular war vet who becomes a hit man — but also wants to be an actor. Winkler plays Gene Cousineau, the teacher of the acting class that Barry stumbles into, and he is phenomenal. He’s funny in the role, and he is touching, too, as we realize that despite Gene’s grandiose coaching methods, he’s struggling to get jobs just like everyone else in Hollywood. Like the tone of the entire show, he’s a little bit comedy, a little bit pathos, and a little bit romance, as Gene gets the hots for a detective (played by Paula Newsome) whose search for a killer has brought her to Gene’s class. Gene is motivated by money and his ego, which gets plenty of stroking from his wannabes. But he’s also charming — Winkler makes sure of that — and he manages to push Barry, who is numb and depressed after serving in Afghanistan, into higher levels of self-awareness. He’s crude, and he’s wise. I have little doubt that Winkler will score an Emmy nomination this year, which would be his sixth for acting. And I wouldn’t be surprised if, for the first time in his long career, he wins.